MELISMATIC: HEAR THIS: Nikki Flores Unleashes "This Girl"
HEAR THIS: Nikki Flores Unleashes "This Girl"
This one is long overdue, mostly because of the holidays getting in the way. Quick Pop Quiz: anyone remember way back 2008 when I first started this blog and I tried to create my first "recurring" column in my YOU SHOULD HEAR posts? (No.) I only ended up featuring four artists before moving on to the next idea to jump into my OCD pop music brain. They were Mandy Ventrice (who's gone on to release an excellent indie album in 1985), Red Blooded Women (who broke up but one member went on to become Queen of Hearts), Candy Coated Chaos (again, broke up to spawn Ro Danishei and Pastele) and Nikki Flores. Nikki is a prime example of being screwed over and unappreciated in the pop industry. She signed a deal to Epic Records at age 15 and appeared on an MTV reality show (about music! Can't you believe it?!) that starred labelmate Cheyenne Kimball (who later dabbed in the country pop group Gloriana) -- which was where I first heard about her. Poised to be the next big thing, she began preparing her debut album, This Girl, set for release that year in 2005. Her debut single, "Strike," was featured in the soundtrack to the film Aquamarine, which starred fellow musical prodigy (and another who is unappreciated in this industry) JoJo. As is the way in these tales (to steal a line from Sondheim's Into the Woods), This Girl was shelved and Nikki exited Epic Records. Instead, she signed a deal with OneRepublic's Ryan Tedder and his label Patriotic Records. This resulted in the digital single release (and Journey's "Lights" sampling) "City Lights" in 2010 (along with a handful of other jams produced by Darkchild). But just when I get my hopes up for an eventual release, again things started to stall. Rather than be forced into becoming a budding teen queen, Nikki Flores dug deeper and instead emerged as a legitimate lyricist. Prior to "City Lights", she had already written a few album cuts for The Cheetah Girls and Raven Samone, but since, she's landed some huge coups outside of the Disney set in genres that are all over the place, all over the world. She co-wrote my fave part of KPOP idol group miss A's Touch album ("Lips") alongside producer Fuego, co-wrote and sung a song with rapper Nas, and even landed a track on Christina Aguilera's most recent album, Lotus, in the bonus track "Empty Words". She's also done some background vocal work with Demi Lovato and Rita Ora. It's safe to say this girl who could is shaping up to be a major player behind the scenes. That's not to say I still long for an album of her own. The sheer amount of material of Nikki's that has been left unreleased is utterly staggering and totally criminal. It was her voice after all that really drew me to Nikki in the first place and therein lies why I remain so bitter about the mishandling of such a great vocalist. So imagine my utter happiness when I realized she has released more than a handful of tracks from her This Girl sessions (2005-2008) and offered them up for free consumption on her website. You can download This Girl here. Do it now. I'll wait. Really, what a hefty release this is. It includes the Timabaland-produced "Suffocate" and the radio-ready (circa 2007) Danja-produced "Painkiller" with rapper Yung Berg (think Paula DeAnda). It opens with "Let It Slide", a raw and emotional ballad produced by Brian Kennedy about relationship abuse that went on to go intensely viral due to its relatable and painful content. It also includes the more introspective, piano-driven ballads "Selfish" and "Insecure" (the latter being downright Janet-esque) which I've spoken about in that YOU SHOULD KNOW blog post, as well as my overwhelming overall favorites in midtempo "Could You Ever Love Me That Way". Basically what I'm trying to say is I could not be more proud that Nikki continues to persevere and use her gift in such a difficult marketplace. Her voice and songwriting capabilities are only getting better as the years get on and I'm proud to say I've been a fan since the beginning. Says Nikki, "I have to say thank you to everyone reading this, from the bottom of my heart, because somehow my fans have managed to not only stay supportive and loyal to me, but they’ve kept me hungry while I continue to strive for my dreams." ineYes you took the words right outta my mouth! I totally agree with everything you've mentioned. When i first heard miss nikki Flore's sing, that voice was the first to inspire me and shape how i sing my runs! out of all other (kind of) similar sounding and etc vocal artist, say like Paula DeAnda, Samantha Jade, Amy Pearson, just to name a few, Nikki's whole way of music, sound, runs n all stood out and took me under being a huge fan and still am. Everytime i log onto my computer or on my phone i always google, "New, what the year it is, Nikki Flores Music". 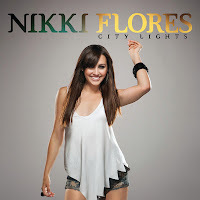 Hoping to see a rad new nikki Flores song come up!